Compare that to the current Costco Amex, which earns 3% on gas, 2% at US restaurants and travel, and 1% on everything else and the new Costco Anywhere Visa card is clearly a step up. 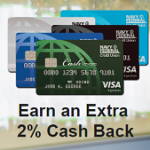 Similar to the current Costco Amex, cash back will be provided annually as a rewards coupon redeemable for cash back or merchandise at Costco. The rewards coupon will be included in your February billing statement and expires on December 31 of the year it was issued. The Costco Anywhere Card will also double as your Costco membership card. And if you currently charge your Costco membership fees automatically to your Costco Amex, these fees will continue to be automatically charged to your new Costco Anywhere card. Existing Costco Amex cardmembers should expect their new Costco Anywhere cards to be mailed in May. There is no need to apply for the card and your credit report will not be pulled as part of the account transition. Through June 19, 2016, you should continue using your Costco Amex. On June 20, 2016, start using the new Costco Anywhere card and destroy your old card. 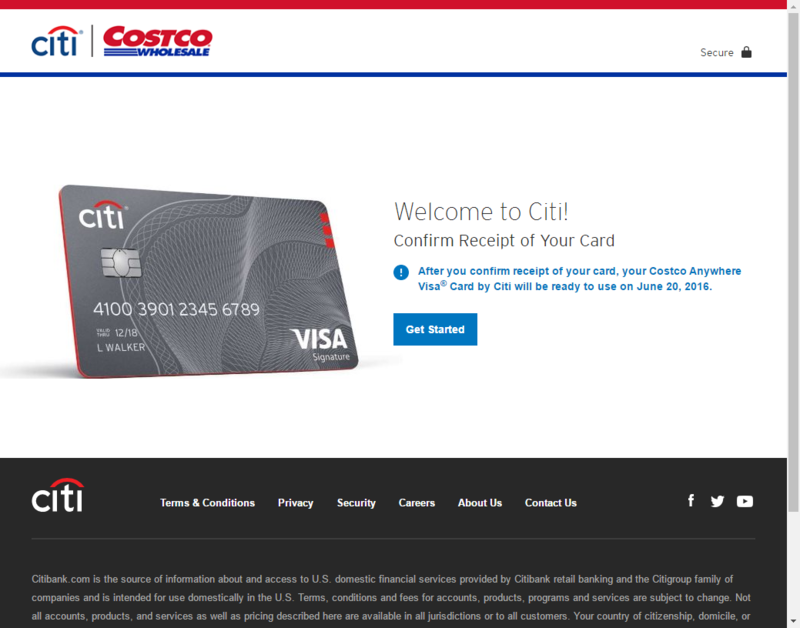 Additionally, you can visit citi.com/CostcoSetup to register your account for online access. Costco Business cardholders enrolled in American Express’ Membership Rewards program will require a separate American Express account to maintain their rewards after June 20, 2016. The new Costco Anywhere Card does not have an annual fee with your paid Costco membership. For more information on the card, see this link. Does anyone know if there is any foreign transaction fees with this new card? I received my Citibank Costco care. Your directions to go on line to confirm receipt of the card were too vague (at least for me). I received the card May 19, 2016.. Please tell me how to register my new card I received today. I did exactly as stated on the info with the new card–went to citi.com/CostcoSetup; but I didn’t know which to go in to and didn’t see any place to register my card. I am unable to confirm receipt of our Costco Visa Cards online. Please issue instructions in order to comply. Excellent job CitiBank !! so dang easy to confirm & setup !!! Thank you, I have new credit card.tamara kabachenko. I am unable to find the link to activate my card received May 23, 2016. I am unable to activate my card on this site. 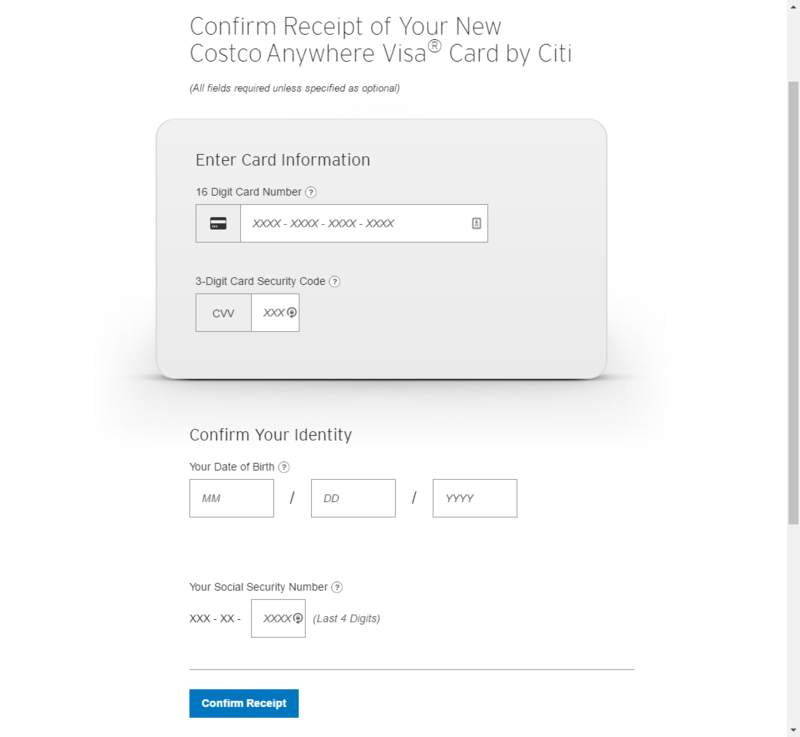 There is no way that I can register my new Citi Costco card. The sites that appear are advertizements and NOT registration instructions. Finally figured it out. Not at all easy and user friendly. Thank you. No sure if I registered or not. My understanding is that there will be a foreign transaction fee of 3% in U.S. $ for all purchases made using foreign currency. However, for purchases made at a Costco which accepts Visa (not all of them do) the fee will be waived. If I have two card of costco with the same membreship and I actived one citi card ,is it automaticaly are actived both? I can”t get these cards registered, help!!!!!!!!!!! How can I set up account and access that account later on? Get started button gets me no where. I just signed up for paper-free, but the site glitched and I can’t get back to the same page. How do I get back to that page? And how do I sign up for automatic payment? How do I set up an auto pay for my Citibank monthly billing to come from my checking accout? Problem in online access registration, please help! Don’t think I was successfully registering my card. I may have already registered by phone when I first received the card but don’t remember. Not sure if I can use the card yet or not. Not user friendly site. Have been using my card. Tried last month and today to register online but getting nowhere. Does the card give cash back at Chevron gas stations? If not, then witch gas stations are in the program? David, yes, Chevron gas stations are included. Per the terms: You’ll earn 4% cash back on eligible gas worldwide, including gas at Costco, for the first $7,000 per year in gas purchases and then 1% thereafter.